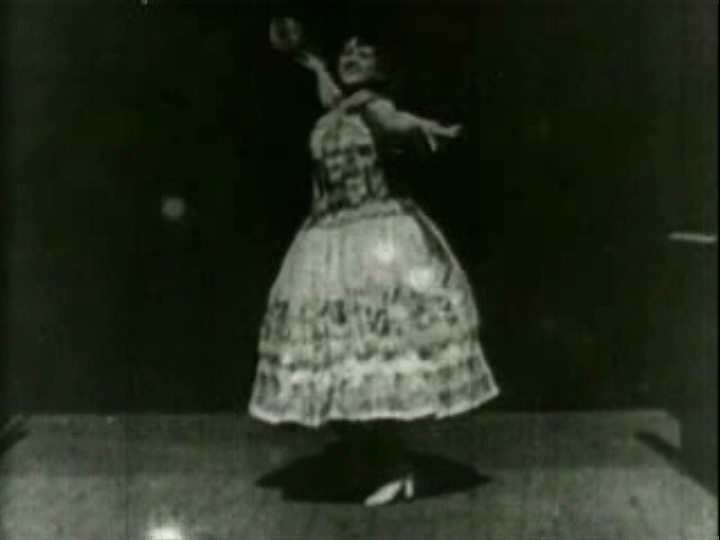 This early Kinetoscope film is a simple, brief clip from the dance routine of a dancer named “Carmencita,” who gives a performance for the camera of a dance she was performing at a New York music hall. It has been suggested that she was the first woman to appear in a motion picture, and that the film drew criticism for “lewdness.” She smiles and seems to enjoy dancing, which may have caused some scandal, although I suspect that her twirls, which occasionally lift her dress slightly above her ankles, and the final flourish, in which her upper skirt is pulled up to slightly reveal the complex under garment that holds it in place, would have been more shocking. In the Internet age, this movie has obtained another odd distinction: it is listed as movie “tt0000001” on the Internet Movie Database, presumably the first movie listed there.